Which PCIE Programmer Is Popular In 2018 Phone Repair Industry? No matter you are phone repairmans or DIY fans, if you want to find a tool which can read and write serial number, or Can expand the iDevice memory, Even restore new NAND with iTunes, The PCIE Programmer Nand Flash is your best choice. Which PCIE Programmer is Popular in 2018 phone repair industry? 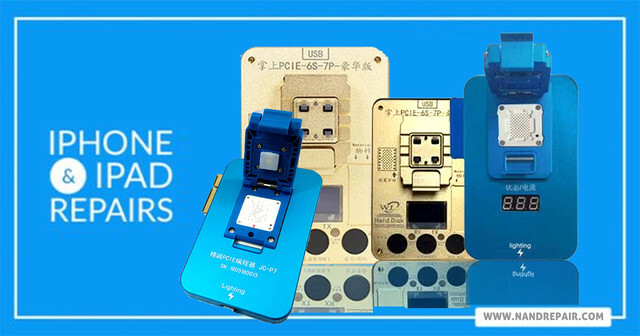 iPhone 6S-7P NAND Test Fixture support English And Chinese, what's the new feature of WL PCIE NAND Programmer Flash IC Chip Repair For iPhone 6S 6SP 7 7P iPad Pro? Where Can Get The High Quality Phone Repair Soldering Station?